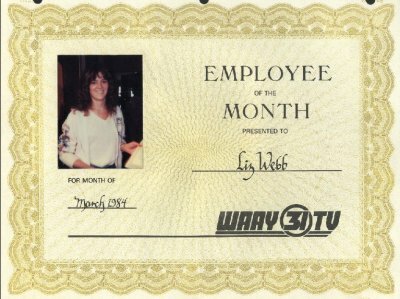 I'll never forget the terror I felt my first day at work at WAAY-TV. After passing my typing & spelling test (I think all women had to take one regardless of what position they were interviewing for), Lew Koch hired me for the position of camera/videotapes for the 6 & 10 newscasts. 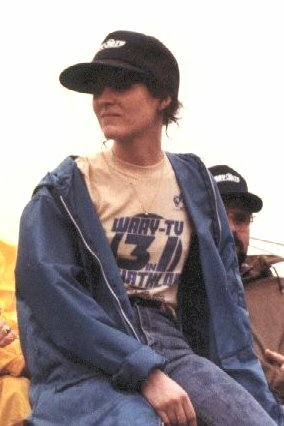 I remember thinking I would never get the hang of anything - the camera was twice as big as I was, the speed in which you had to load the tapes for the newscast (and in the right order) and the confusion of the film chain was enough to make me doubt if I was going to come back after my first dinner break. When I first started working at 31, if you ran camera, you had to draw Bob Baron's weather maps. Back then, it was a huge acrylic map on which we drew all the highs, lows, fronts, etc., with magic markers. Then you wiped it off with bleach and started again for the next show. Thank goodness for "Weather in Motion" when we got to draw them with chalk! Lew Koch, Mark Smith & Allen Dunkin showed infinite patience with me as they somehow convinced me I could be a switcher. Back then, programming and commercials ran on many different sources ... tapes, slides, film, audio carts. Many times you felt like an air traffic controller, but what a feeling of accomplishment when you signed off for the night (as we did back then!). I remember thinking during the first network run of the miniseries "The Thornbirds", that I was the only person in Huntsville actually getting paid to watch it! But I contribute all of my gray hair to when I had to fill in directing the newscasts. I have never been more terrified in my whole life. Don't miss that part a bit. There are too many stories to count, and I sure laughed a lot in the four years I worked at WAAY. We always said that it was a sitcom in the making!